Horseshoe v2 – Project "Pedal bin"
After my first 3D printed horseshoe started bending in the dryer cabinet after a coat of primer, I printed a new one for the right shoulder/leg. 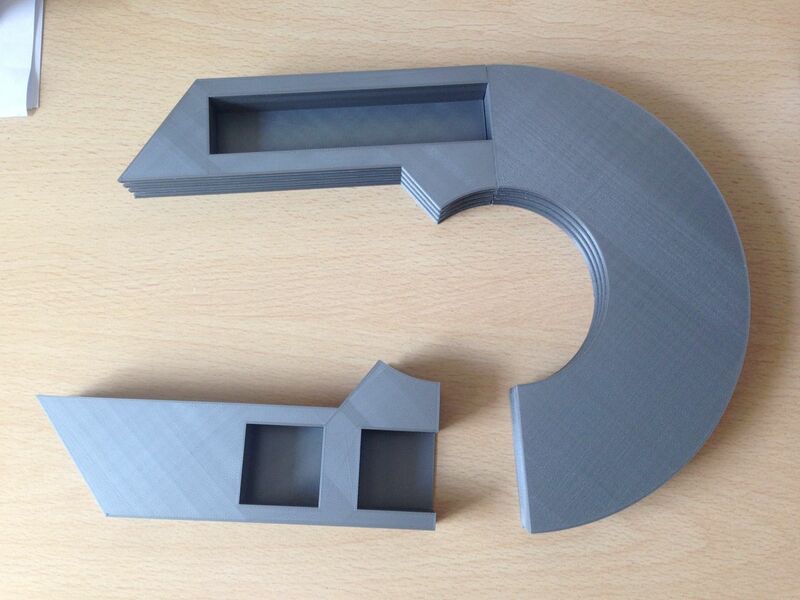 Here is a photo of the raw bits straight out of the 3D printer. I started with glueing them together with EMA plastic weld. It takes quite a while to fully cure but once finished it’s a pretty rigid connection. Next is primer and filler.